MLS# 180051921 - 12450 Darkwood Road, San Diego, CA 92129 - Abacus Properties Inc. Courtesy of Coldwell Banker Res Brokerage, Orva Harwood. Hilltop & canyon views, resort style spa, fire pit & outdoor BBQ add to the ambiance of this highly desirable Park Village home. One downstair’s den/bedroom with full bathroom, washer/dryer included, permitted sun room off the family room, plantation shutters, vaulted ceilings, large master bedroom with huge walk-in closet with built-ins, huge windows & a cozy fireplace plus a 3 car garage all enhance the livability of this fantastic property that you will call home. Rare home with no HOA nor Mello Roos! Please, send me more information on this property: MLS# 180051921 – $995,000 – 12450 Darkwood Road, San Diego, CA 92129. 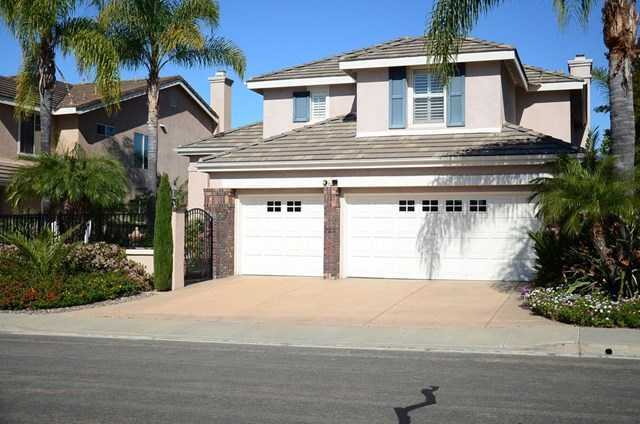 I would like to schedule a private showing for this property: MLS# 180051921 – $995,000 – 12450 Darkwood Road, San Diego, CA 92129.